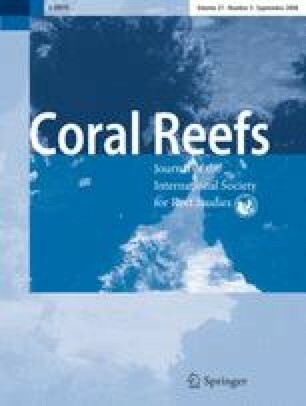 A long-term (10 months) controlled experiment was conducted to test the impact of increased partial pressure of carbon dioxide (pCO2) on common calcifying coral reef organisms. The experiment was conducted in replicate continuous flow coral reef mesocosms flushed with unfiltered sea water from Kaneohe Bay, Oahu, Hawaii. Mesocosms were located in full sunlight and experienced diurnal and seasonal fluctuations in temperature and sea water chemistry characteristic of the adjacent reef flat. Treatment mesocosms were manipulated to simulate an increase in pCO2 to levels expected in this century [midday pCO2 levels exceeding control mesocosms by 365 ± 130 μatm (mean ± sd)]. Acidification had a profound impact on the development and growth of crustose coralline algae (CCA) populations. During the experiment, CCA developed 25% cover in the control mesocosms and only 4% in the acidified mesocosms, representing an 86% relative reduction. Free-living associations of CCA known as rhodoliths living in the control mesocosms grew at a rate of 0.6 g buoyant weight year−1 while those in the acidified experimental treatment decreased in weight at a rate of 0.9 g buoyant weight year−1, representing a 250% difference. 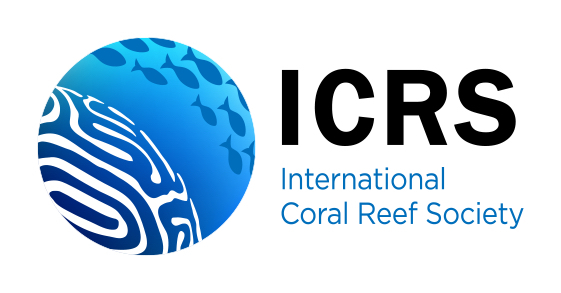 CCA play an important role in the growth and stabilization of carbonate reefs, so future changes of this magnitude could greatly impact coral reefs throughout the world. Coral calcification decreased between 15% and 20% under acidified conditions. Linear extension decreased by 14% under acidified conditions in one experiment. Larvae of the coral Pocillopora damicornis were able to recruit under the acidified conditions. In addition, there was no significant difference in production of gametes by the coral Montipora capitata after 6 months of exposure to the treatments. This work was partially supported by EPA Star Grant R832224-010 NOAA, National Ocean Service MOA 2005-008/6882 Amendment No. 001, “Research in Support of the NWHI Coral Reef Ecosystem Reserve, HIMB, SOEST, UH Manoa” (Dr. Jo-Ann Leong, PI), USGS Coastal and Marine Geology Program co-operative agreement 04WRAG001, and NSF grants ATM04-39051 and EAR02-23509 (FTM). Taxonomy of the rhodoliths was determined by Cheryl Squair, UH Botany Department, and the invertebrates by Scott Godwin, Bishop Museum. Assistance of Fred Farrell in these experiments was invaluable. HIMB Contribution No. 1300.